Ottawa, May 5, 2011 — Four cities located in Saskatchewan and Alberta will occupy the top four spots in the economic growth leader board, according to the Spring 2011 edition of The Conference Board of Canada’s Metropolitan Outlook. “Buoyed by the resources and energy sectors, the economies of Saskatoon, Calgary, Regina and Edmonton will post noticeably stronger growth than the other cities covered in this report,” said Mario Lefebvre, Director, Centre for Municipal Studies. This publication provides a five-year outlook for 13 of Canada’s largest census metropolitan areas (CMA). Saskatoon and Regina are benefiting from strong resource development in the province, while healthy population growth is bolstering the housing markets in both cities. The medium term outlook is also bright, with both economies expected to grow at an even faster pace. Saskatoon’s economy will expand by 4.1 per cent this year, and is expected to remain among the CMA growth leaders through 2013. Regina’s real gross domestic product (GDP) is slated to rise by 3.1 per cent this year. A promising outlook for the Alberta energy sector will be a boon for the Calgary and Edmonton economies. Calgary remains the services hub for the province’s energy sector and is forecast to post the second strongest economic growth rate (behind Saskatoon) at 3.4 per cent this year. Although the energy sector will bolster Edmonton’s outlook, real GDP is forecast to increase by 3.1 per cent in 2011—down slightly from its 2010 pace—due to more moderate growth in the construction, manufacturing and services sectors. The other Western cities covered in this report can expect moderate economic growth. Following a strong post-recession rebound, all sectors of the Vancouver economy will grow at a slower pace this year. As a result, GDP growth will moderate to 2.4 per cent in 2011. In Victoria, weak housing demand will limit GDP growth to 1.7 per cent in 2011. After three years of declining output, Winnipeg’s manufacturing sector is on the road to recovery due to increasing demand in the aerospace industry. However, construction activity is expected to decline for the second straight year. Overall, Winnipeg’s GDP is forecast to rise by two per cent this year. GDP growth in Toronto and Hamilton will slow to 2.8 per cent and 2.5 per cent, respectively, this year, due to the end of government stimulus spending and weaker gains in manufacturing output. 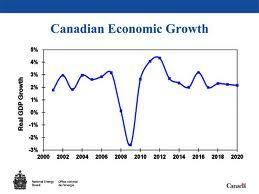 Economic growth in Ottawa-Gatineau will moderate to 2.2 per cent this year. The national capital region will feel the effects of a federal government departmental spending freeze, which will lead to a lower job count in the CMA’s public service sector over the next few years. However, these job cuts are expected to come mainly through attrition. The weakness in the public administration sector will dampen demand for new housing. As a result, housing starts are forecast to fall both this year and next. Montreal’s economy is forecast to grow by 2.1 per cent this year, following a 2.8 per cent expansion in 2010. Weaker global economic growth, combined with a slowdown in the housing market and tax increases (including the one percentage point rise in the sales tax rate) will keep a lid on economic activity in the CMA in 2011. The city’s economy is expected to improve in 2012 as the aerospace industry continues to recover. Quebec City’s economy is also expected to expand more slowly this year than in 2010, as GDP growth is projected to reach 2.3 per cent. With the post-recession surge over and the new homes market expected to weaken, Halifax’s economy is forecast to rise by a more modest 2.5 per cent in 2011, down from a 3.3 per cent gain in 2010.